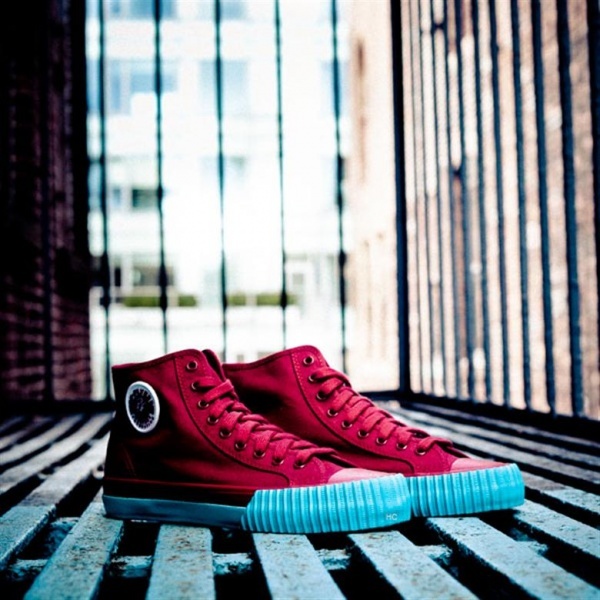 Classic American sneaker brand PF Flyers has released a sleek new shoe for this Holiday 2011. The Colour Pop Pack comes in two vibrant colourways, featuring the new red and black Center Hi’s. This original 1953 model was built for comfort and designed with style using a ribbed toe guard, diamond-patterned outsole and posture foundation insole. Only 800 pairs available at Millennium Shoes and Foot Express.